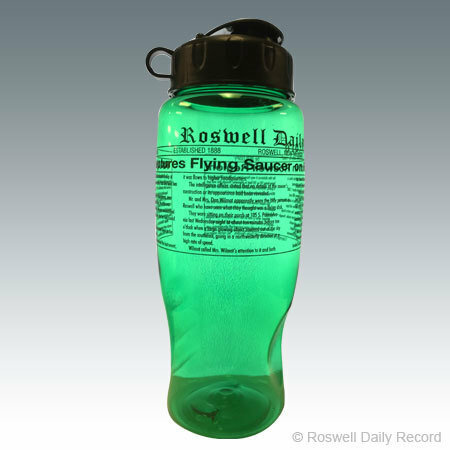 Roswell Daily Record Sports Bottle! Features a clear exterior wall is contrasted the Roswell Daily Record report of RAF captures flying saucer. Great conversation starter! Makes a great gift for the Alien enthusiast or memorabilia collector.